Look at this awful weather! What you need is a pick-me-up. How about one delivered right to your door? 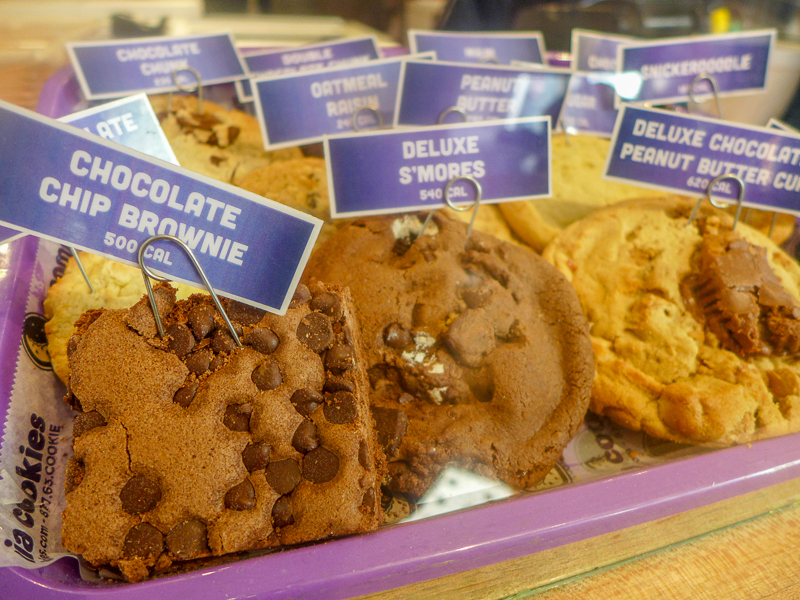 I say you turn your attention to Insomnia Cookies. 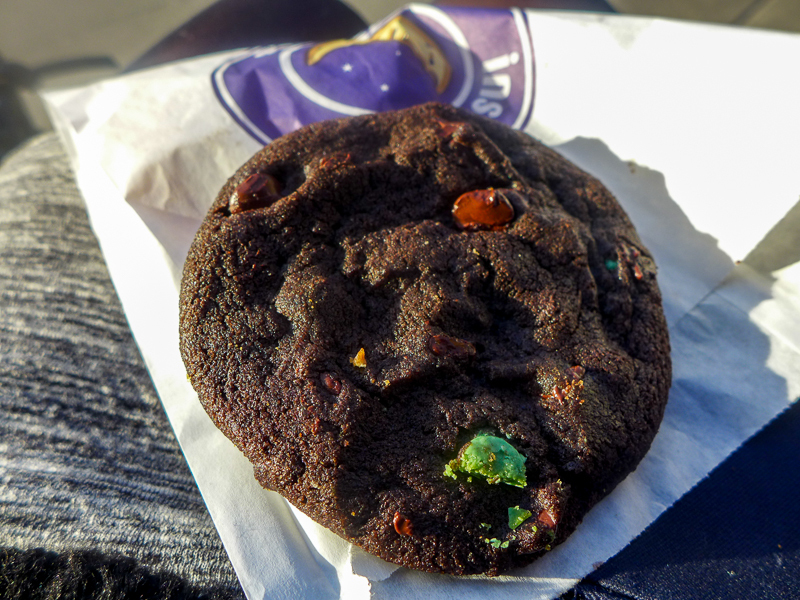 As the name suggests, they help you get your cookie fix (nearly) all hours of the day and night. I actually got mine in the middle of the day and I went to them (rather than the other way around), but I wanted to see if they were worth the long-distance relationship. 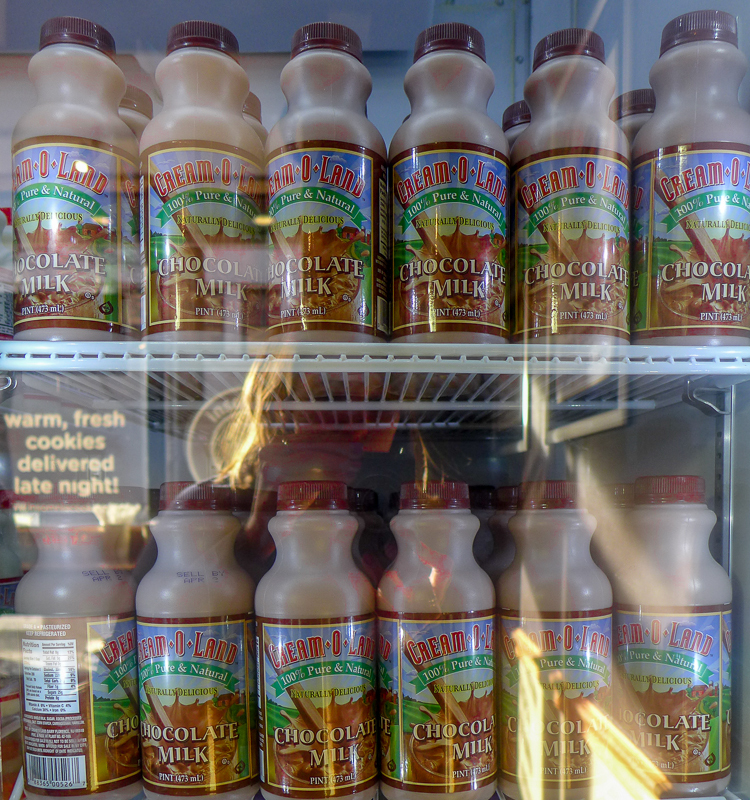 They have about a dozen locations around the city, but I headed to the East Village store – a mini hole in the wall on the corner of 11th Street and 2nd Avenue. It’s very scant inside. 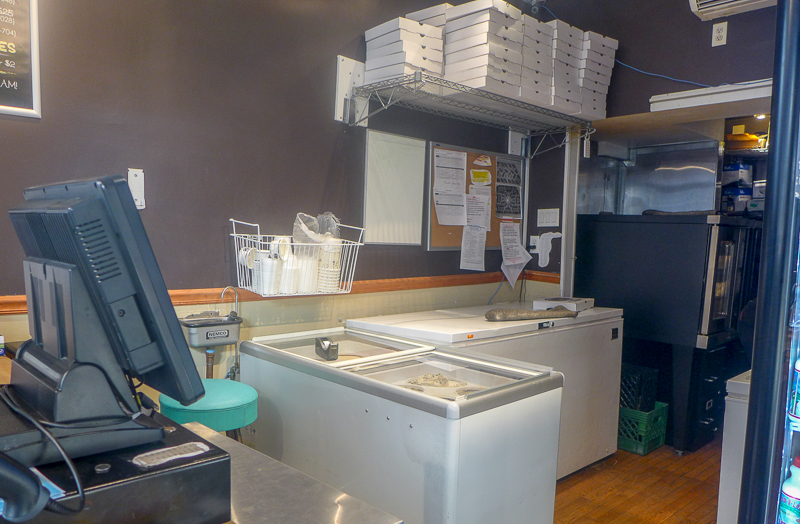 There’s a milk fridge and one small counter with a paltry tray showing their choice of cookies. The rest of the store looks like freezers or refrigerators… or something. Come on guys, put a little more effort in! There were also brownies and ice cream on offer. The cookies were great. Not the most original flavors or the most exciting thing I’ve ever eaten, but they were just really tasty, really solid treats. Both soft and crunchy, super fresh and not too sweet or too large. I love the idea that they deliver (within a 10 block radius) but in reality I don’t think I’d ever order cookies to home (they’re too fun to make!). But if it sounds like your sort of thing, let me assure you that you’ll be more than happy to have these warm treats turn up at your door. 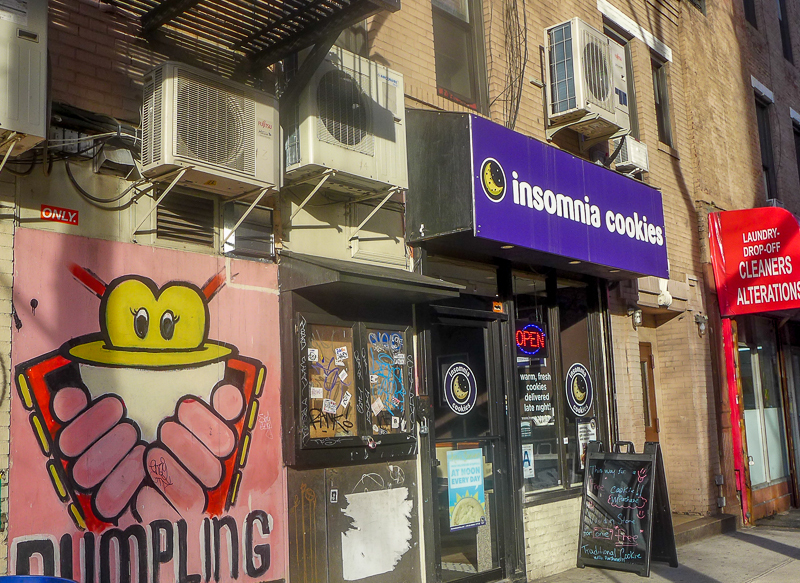 I think I also understand the real meaning behind ‘Insomnia Cookies’. 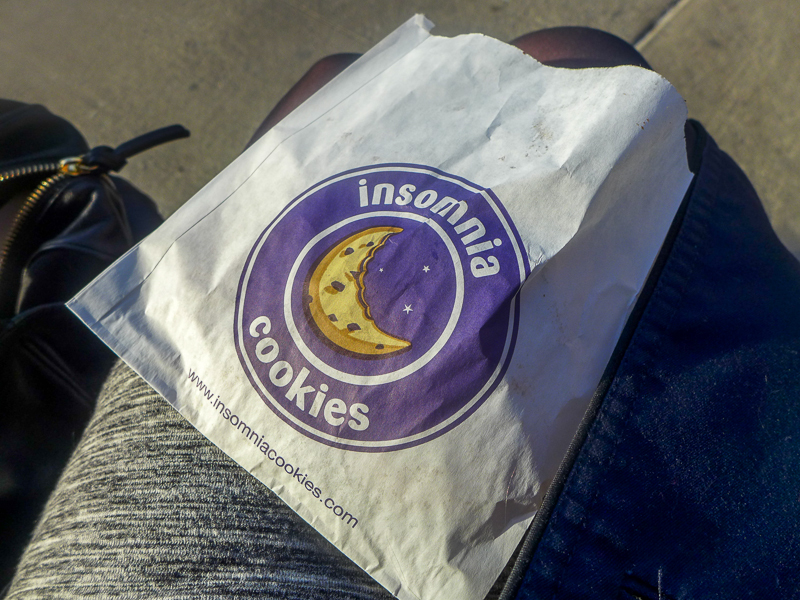 I had some cookie as an evening snack and watched as the minutes ticked past midnight… then 1am… So if you’re an NYU kid who needs to pull an all nighter, I’ve found your snack! 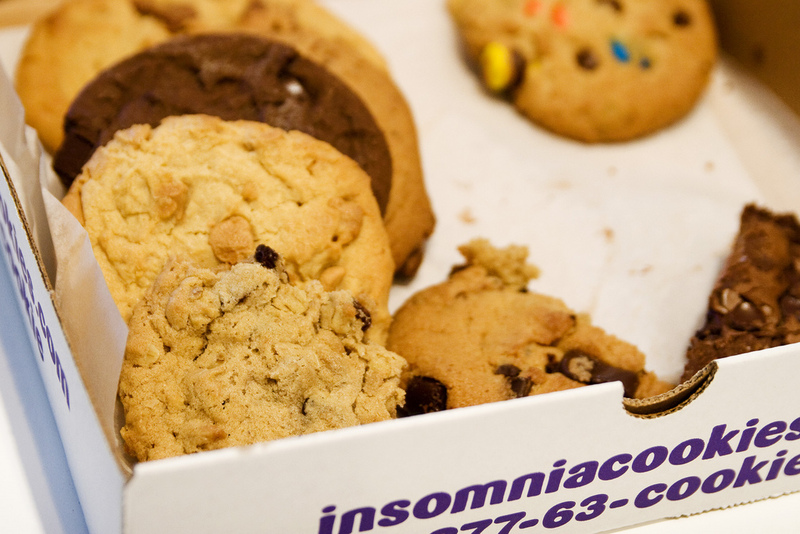 Insomnia Cookies has multiple locations in the city (see map below), and of these, three deliver to their local areas: the East Village (11th Street and 2nd Ave), Greenwich Village (116 MacDougal Street) and Morningside Heights (1028 Amsterdam Avenue). They deliver until 3am. You can check out opening times and delivery zones, as well as how to order, on their website here. We have a place like this in Dallas! It is wonderful! Yeah, love the idea – it’s very dangerous..!